The Move & Crawl Ball from VTech will keep baby on the move. 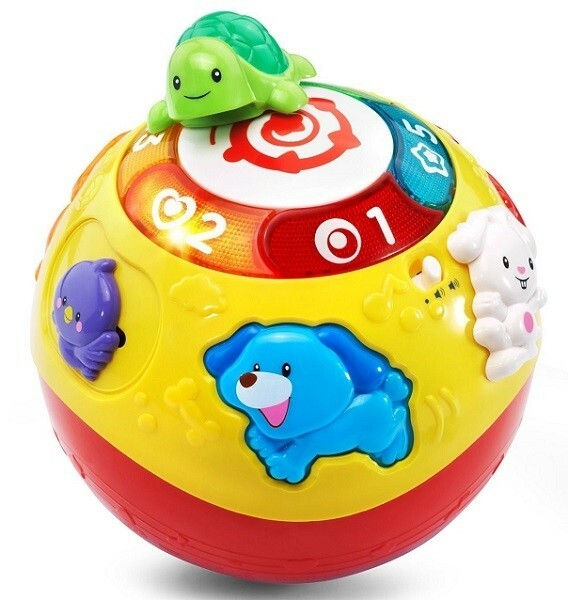 Chocked full of fun things to press, pull, spin and feel, the Move & Crawl Ball introduces shapes, numbers, animals, and animal sounds to your happy baby. Busy babies will have a ball with this fun, interactive electronic learning toy. Play songs, give the ladybug a spin or press the flashing light. With its sensor, the Move & Crawl Ball wobbles and wiggles with baby's every giggle!